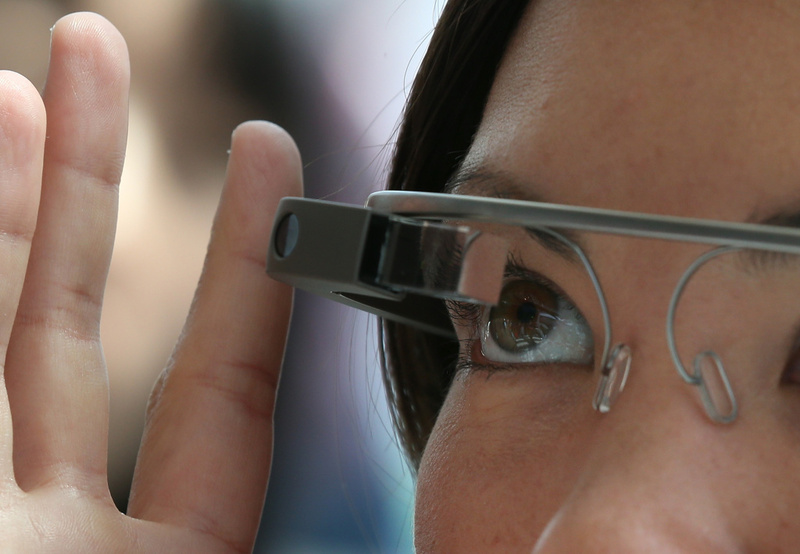 Are people still excited about Google Glass? An attendee tries Google Glass during the Google I/O developer conference on May 17, 2013 in San Francisco, California. Eight members of the Congressional Bi-Partisan Privacy Caucus sent a letter to Google co-founder and CEO Larry Page seeking answers to privacy questions and concerns surrounding Google's photo and video-equipped glasses called "Google Glass". The panel wants to know if the high tech eyeware could infringe on the privacy of Americans. Google has been asked to respond to a series of questions by June 14. Google Glass could be called: a wearable computer, the next wave of always-on engagement online, or to haters, ugly and invasive. At $1,500, however, it's not typically a toddler's play thing. But as some developers and tech writers try it out, they're giving their kids a go. The result? Blurry pics of dad's face, walk-n-talk video, and a kind of native ease with a sometimes awkward product. While it's pretty darn cute, it got us wondering if the mystique of Glass had worn off. Mat Honan is a senior writer at Wired and a father who dressed his toddler up in the new tech. What's the difference between a geek and a nerd?